This entry was posted on Thursday, July 28th, 2011 at 05:45 and is filed under Economics, Politics. It’s clear enough that the GOP establishment has a basic contempt for its base. Let me explain to you folks, to whom Mark Levin refers as ‘Re-Pubics’ or ‘RINOs,’ what it is that you seem not to have noticed: You can’t have any lasting electoral victory without the base of your party, and that base is decidedly conservative and a bit populist, and even those who are not members of the TEA Party certainly have firm sympathies and common principles with them. Today, those of you in the DC ‘leadership’ of the GOP may have sealed your electoral fate in 2012. Rather than take on the President, and simply shrug and walk away from all the deal-making, you went on the attack, not against Obama, and not against Harry Reid and his band of thugs in the Senate, but instead, you went to war with your base. You did the same thing in 2005. You continued the practice into 2006. You lost your majority. I suppose you think this is a winning strategy, but I’ve got news for you, since you seem incapable of learning it otherwise: It can’t work. You tried again in 2008, by trying to get that pathetic Amnesty bill through, and the base, not even yet formed into or associated with TEA Parties, let you have it, in a full-throated, phone-line melting barrage of their displeasure. Come November, the party was unable to motivate the base to the polls in sufficient numbers to overcome “history.” One would think you would learn these lessons. 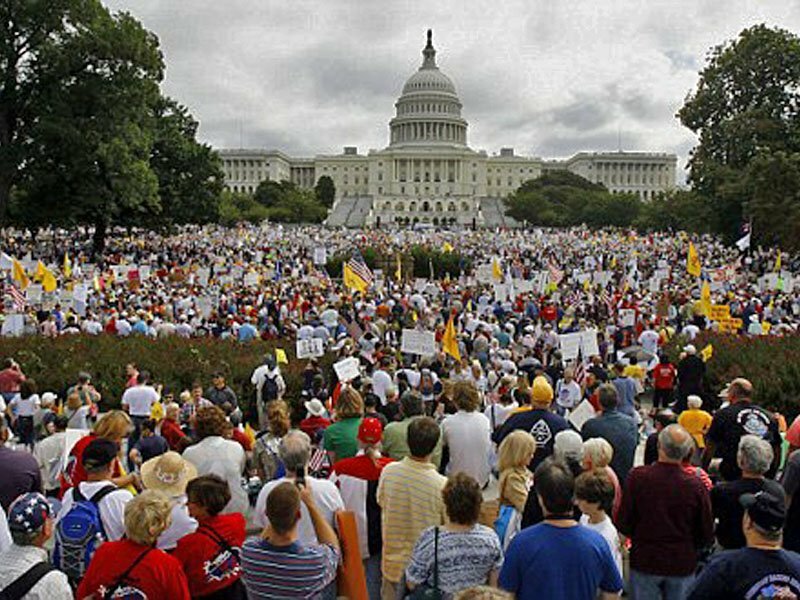 In 2009 and 2010, when you stood in stern and unforgiving opposition to Porkulus and against Cap & Tax and Obamacare, the TEA Party folk, as well as your base, responded by giving you back control of the House. Still, you did not learn. Instead, you’ve whined about your position as “only one-half of one-third of the government,” but that baloney won’t cut the mustard here. You want all the trappings of power without having to stand out on the front lines and lead. Yes, we all know Obama’s intransigent. Do you know why? He has no intention of any deal, of any sort, at any time. He intends to usurp your authority as the constitutionally-mandated body in which all spending and revenue measures must originate. You know, that “antiquated document” copies of which many of you carry in your pockets these days, but seem not to have read? Well, by my estimation, at least one-third of the government is in open insurrection against the constitution, and you stand there mouthing platitudes about your impotence. Will doing so make you less so? Will negotiating with a President, or his shills in the Senate make you any less impotent? No, it won’t. On your way to ceding your power by silent assent, and worse, by attacking your own electoral base, what you guarantee is not only your defeat, but the ruin of our nation. If, as John McCain and the Wall Street Journal contend, your base and the TEA Party are merely hobbits going to war against Obama’s Mordor, and we can guess that Harry Reid is Saruman, where does that leave you in this story? Obviously, the geniuses at WSJ are only half-familiar with the story, and as HotAir rightly points out, McCain hasn’t read the trilogy, because if he had, he’d know this leaves you in the place of Denethor, the mad Steward of Gondor, who throttled and sacrificed his own at the mere threat of victory by Mordor. It didn’t go at all well for him. At this moment, I can see Speaker Boehner in his role as Denethor running ablaze, pitching himself over the wall. Of course, with such a leading light as Juan McCain playing the role of ‘Grima Wormtongue’ in our camp, bending the ear of the Senate, it’s no surprise that you view your base and the TEA Party with contempt. I’ve got a suggestion for you, or at least for Senator McCain and the fine folks at the Wall Street Journal. You’d better be prepared because I think Aragorn, the ranger from the North, this time in the form of a woman, is about to arrive with the “Army of the Dead.” I think a few hobbits will be in attendance. We’re going to clean you out, this time. We’re going to primary all of you if we can, even if we must lose the seat in the process. Better to get rid of the fakes. Better to send you home. It’s bad enough to contend with the open evil of Obama, but it’s another matter entirely to put up with this from people for whom we voted. Mike, I don't know what Tea Party leaders are reading, but they're as welcome as any to come take a look. No two people on the planet agree with one another in all things, and I don't expect my readers to be in lock-step with me, just as I am sure they don't expect me to be in perfect lockstep with them at all times. It's the shared guiding principles that we have in common, and the debates about details are how we work together. Thank you Mike! Don't forget Nancy Pelosi, who lost her precious in the last election, only to retrieve it for a short period of time before she destroys herself along with the one. I will enjoy watching that tower which holds up the eye crumble down and takes Mordor with it! As the Ranger proudly accepts the title that is Her destiny! And the City on the Hill will be restored. And America will once again prosper! Kevin, you're right. I left out little Nancy. She's definitely the Gollum in this theater. "Hobbitses haves to votes for it before they knows whats in it it…yes.. my precious." Perfect! !